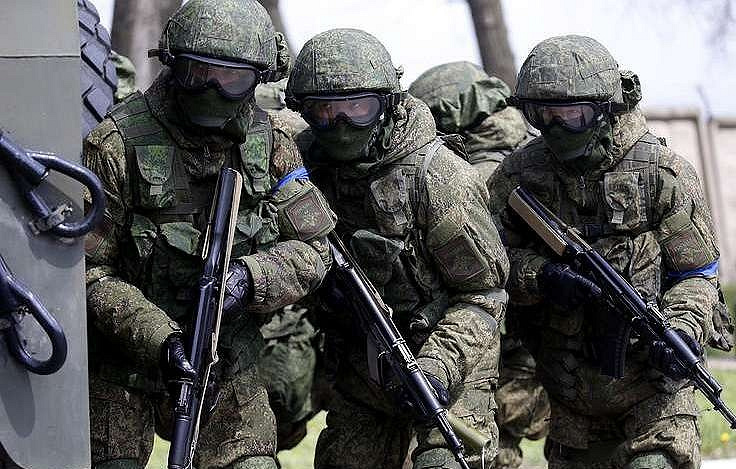 According to the FSB, members of the terror group "spread terrorist ideology among the peninsula’s residents and recruited Crimean Muslims into its ranks"
MOSCOW, March 27. /TASS/. The Russian Federal Security Service (FSB) has foiled the activities of the Hizb ut-Tahrir terror group (outlawed in Russia) and detained 20 of its members, the FSB Public Relations Center informed TASS. "On March 27, the Federal Security Service in cooperation with the Russian Interior Ministry and the Federal National Guard Troops Service foiled the activities of a cell of the Hizb ut-Tahrir al-Islami international terror group during a special operation in Crimea and detained 20 people from among its chieftains and ordinary members," the FSB stressed. According to the Federal Security Service, members of the terror group "spread terrorist ideology among the peninsula’s residents and recruited Crimean Muslims into its ranks." Large quantities of propaganda materials, communication and electronic data storage devices used by Hizb ut-Tahrir members were seized during their arrest. Hizb ut-Tahrir al-Islami (the Islamic Liberation Party ) is an international religious and political organization founded in 1953. Its goal is to remove all non-Islamic governments and bring back Muslims to the "truly Islamic way of life." Russia’s Supreme Court banned Hizb ut-Tahrir in 2003 designating it as a terrorist organization.